Recently Tim asked me to sew him some v-neck t-shirts. I took this request and turned it into an opportunity for a side-by-side men's t-shirt pattern comparison... However, I only had one v-neck pattern in my stash, so it's not a truly apples-to-apples comparison. Drama! Intrigue! Tragedy! Redemption! Beauty! The tale of this dress has so many plot twists, you may not be able to keep up. Maxi skirt? Or maxi trousers? Hard to tell, eh? Hey-o! 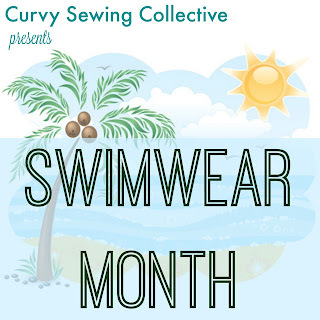 June is Swimwear Month at the Curvy Sewing Collective and I've got a review of the Jalie 3350 swimsuit pattern over there today! 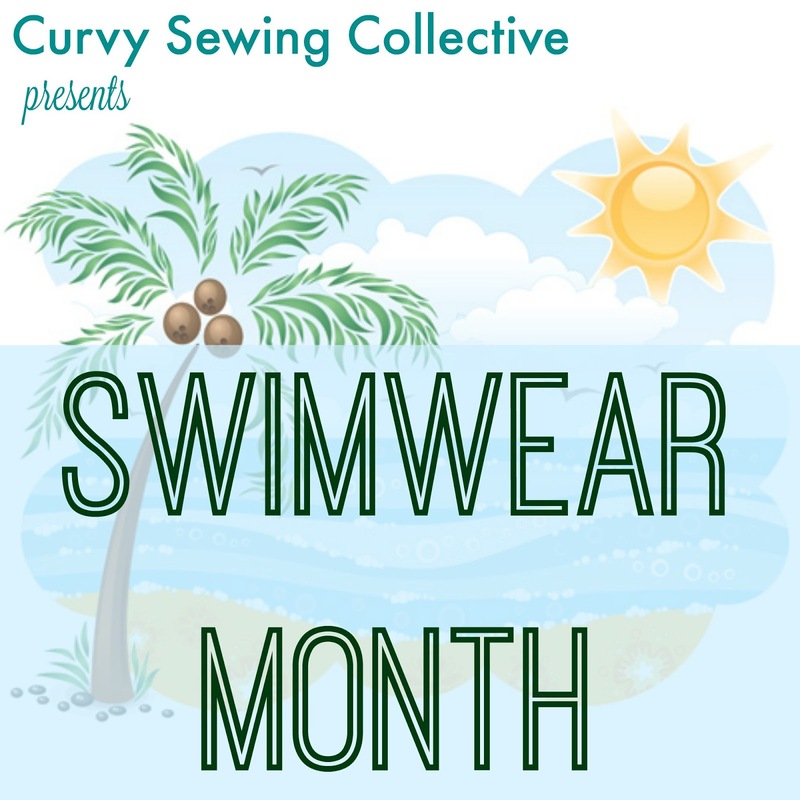 Sneak peak below. 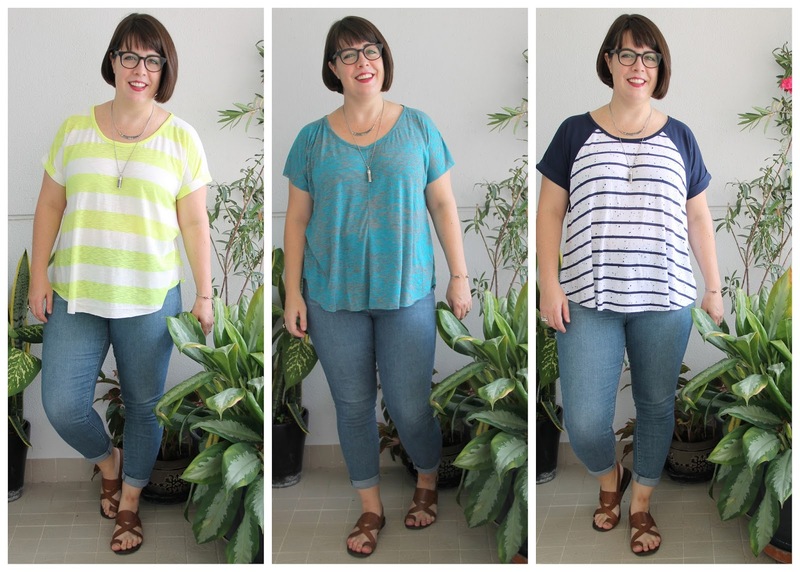 A trio of Santa Fe tops from Hey June for the first day of June! !